Episode 40 of HubShots is now available! This is a cross-post from the HubShots site. Kipp Bodnar, the CMO of HubSpot, was out in Sydney recently as part of HubSpot’s Grow With HubSpot events. We were lucky enough to get some time to chat with Kipp in the HubSpot Sydney office. Together with Moby Siddique, host of the fantastic InboundBuzz podcast, we got to ask Kipp his thoughts on a range of personal, strategic and tactical topics. We hope you enjoy it – please let us know in the comments! Craig: Kipp, thanks for joining us on the HubShots Podcast today. Kipp: Yeah, absolutely. Thanks for having me. You know, I think it depends on your personality, the best way to do that. I’m somebody who is fairly good at compartmentalising. So when I’m at work, I’m at work. And when I come home, when I’m with my son, you know, the phone goes away, the computer goes away. And I try to be really locked in and basically make the most efficient use of your time. And a lot of work/life balance comes down to actual time management, and people just spending time on stuff that is… doesn’t meet the bar… the bar of importance. Like they’re just spending extra time on stuff because they think they need to versus that it’s actually important. You have to have the ability to say no to have a good balance in life. 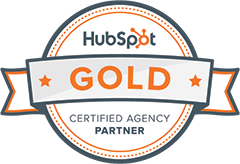 And so, there’s some things that I just won’t weigh in on or I will just say no to because I’m trying to stay very focused on what’s important to my team and to HubSpot. And so that’s kind of how I’ve approached it. Kipp: Took us a decade to get there.